Join artist Sasha Leitman for a free opening reception to celebrate the new window gallery exhibit Pacific Resonance. Talk and demonstration will begin at 7 PM. 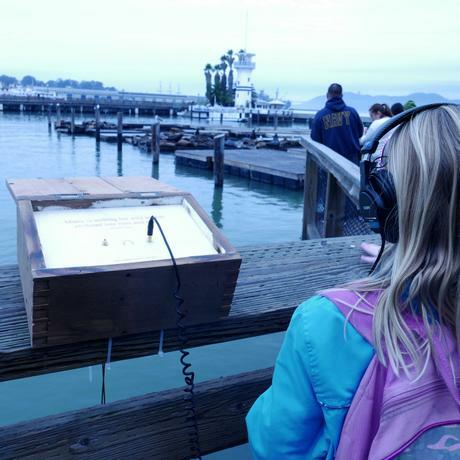 Sonic Windows is a series of immersive sound environments that feature binaural recordings of underwater landscapes from the Pacific Ocean – Wellington, New Zealand, Pier 39 San Francisco and Monterey Bay. The human ear is tuned for air and therefore not equipped to perceive distance and orientation underwater. Using a pair of spaced microphones, the artists were able to create an underwater stereo experience that is otherwise unattainable for the human ear. Inspired by the sailor’s ditty box, the listening stations were created from reclaimed boat timber. Quiver is a metal sound sculpture that utilizes vibration transducers, contact microphones and touch sensors to explore material resonances and interdependent, nuanced control of sound. My work is built out of four main influences: Computer Music, New Musical Instrument Design, DIY Maker culture, and a deep relationship with the natural world, particularly the ocean. Increasingly, I am looking for ways to reintegrate the natural acoustic resonances of the materials that make up traditional instruments – wood, metal, etc – into the instruments that we create to control computer music. 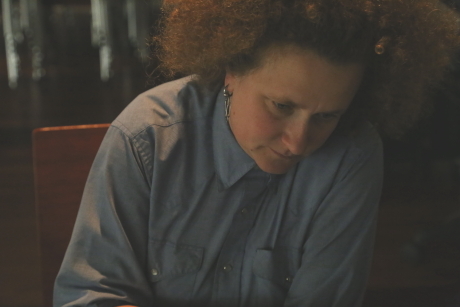 Sasha Leitman is a composer, artist, teacher and inventor. Raised on the Central Coast of California, she began studying music and guitar at aged 11. Originally focused on composition, she also was an obsessive builder and tinkerer. Sound art and musical instrument design allow her to combine her musical interests with knowledge of electronics, woodworking, metal work, fabrication and computers. She has spent the last ten years teaching and managing the Max Lab prototyping facilities at Stanford Unviersity’s Center for Computer Research in Music and Acoustics. In July, she will move to Wellington, NZ to begin work on an engineering PhD exploring the design of computer music controllers inspired by the nuanced control of acoustic instruments.